modern. playful. looking for love. 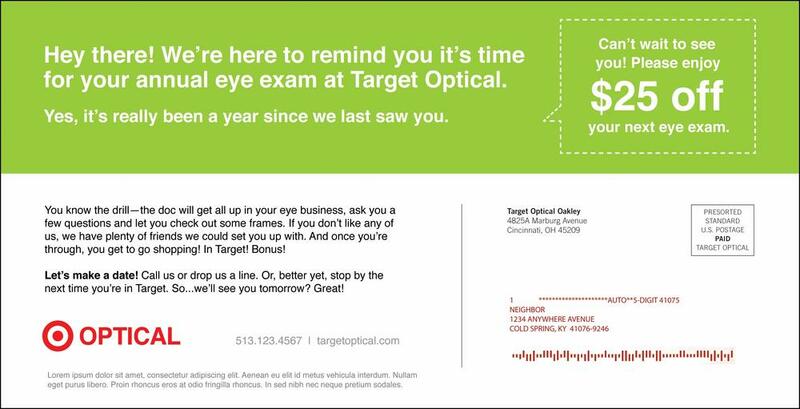 This work was created for a pitch to reimagine the way the Target Optical brand engages with their current consumers, particularly through targeted media such as direct mail, email, and social media. We sought to understand the consumer journey and deliver appropriate messages throughout the yearly exam and frames purchase cycle. 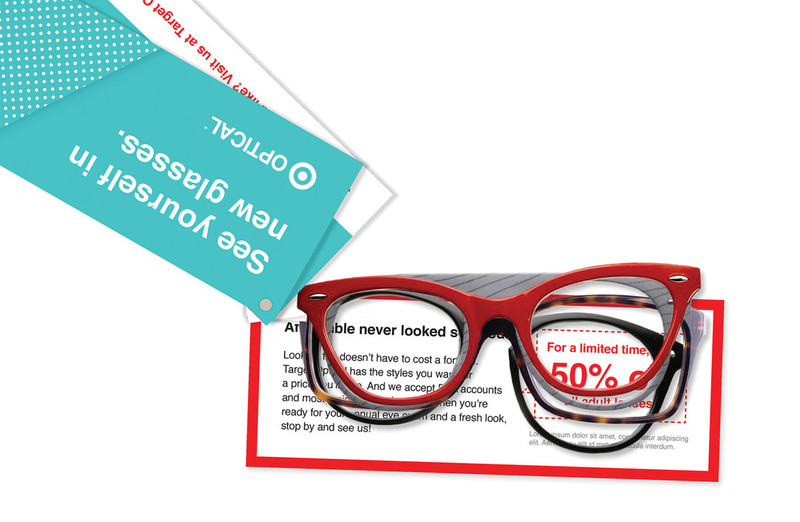 We know that Target Optical consumers are savvy, style-conscious, and already have a relationship with the modern Target brand as a whole, so we created a campaign that builds visually on that foundation. We also played with the concept of a romantic relationship...with your perfect pair of glasses, of course. When you find your match, you know it. There’s a spark, a moment of certainty. Your eyes brighten, your smile widens. You feel confident, radiant and comfortable in your own skin. And that’s the way it should be when you put on a perfect pair of glasses. Because your glasses are an extension of you—your style, your personality. They are your partner day in and day out. Your glasses are more than a lens through which you see the world; they’re an expression of how you see it. And when they fit you just so, you feel it. Don’t settle for less. 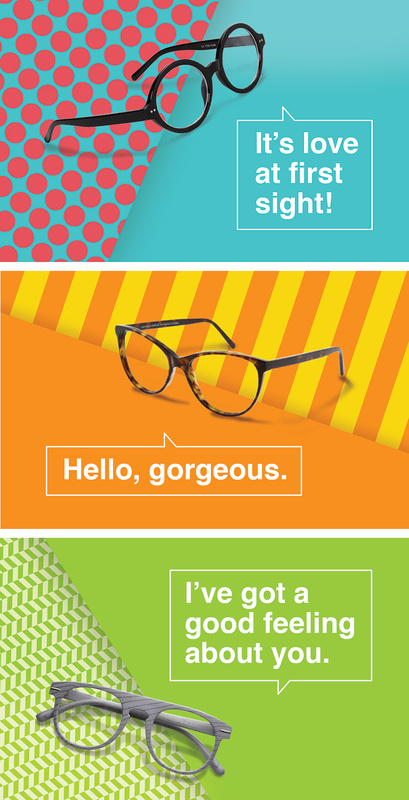 Your perfect pair is waiting at Target Optical. Three frame styles vie for your attention in this interactive "Dating Game"-style piece. The frames sent to each individual are based on previous purchases. As the DM pieces continue, the glasses become even more playful and eager to meet you. Their compliments are always accompanied by an appropriate discount on the back of each piece. This special yearly trend mailing showcases exciting new styles that you can try on and fall in love with. Emails complement the direct mail pieces, and also provide personalized appointment/purchase follow-ups and appointment reminders. Social media posts are targeted based on search or follow history and read like quirky personal ads from the voice of the glasses. Created in collaboration with/copy by Michelle Sullivan.